A landlord invests a lot of time and money in a rental property. This person wants to make an income and profit off of the investment, and wants to make certain that a good tenant will occupy the premises. Any landlord wants to be sure that a prospective tenant is reliable and pays rent on time. Looking at the tenant’s history is a prudent idea, but you have to be careful about how you do it. Checking the tenant history should in no way be used as a tool to discriminate against a person’s minority status. The background investigation has to center on very valid reasons which are associated with the property. The more objective you are in looking at past information, the less your chance of being accused of discrimination and subjected to subsequent litigation and penalties. The application itself should be checked against the requirements of the Fair Housing Act. Additionally, the application has to be consistent with the state law. It is important because some landlords use rental agreement which they employed in other states. That is not going to be acceptable in a law court. A landlord should also be mindful any tenant landlord legislation currently on the books. The biggest concern for any landlord is the ability of the tenant to pay. It is why checking the financial ability is so essential. The same applies to the credit history and how the prospective tenant paid bills in the past. Eviction is a red flag. It ordinarily is a result of not being able to pay rent and going into default. Being able to talk with the earlier landlord can help determine whether or not serious problems occurred with the tenant. Also, check the public records to see if there are any complaints filed, which will uncover whether or not there might be difficulty with neighbors. Checking past criminal history may uncover a scam. Believe it or not, there are some people who will rent property, present themselves to the public as the real owner, and rent the property to somebody else. Some unscrupulous people will practice a form of tenant treachery. They will not pay rent and use the existing landlord-tenant laws to extend their occupation of the property. Worst-case scenarios include selling the rental property on a cash only basis. A landlord has to be a little skeptical any person looking to rent property. A smile on the face can hide a very devious mind. The concern about a possible discrimination in the check will stress out anyone. It is why a smart landlord will have a third party investigate tenant history. This outside firm has no attachment to one side or the other in examining the background. They look at the facts and nothing else. Having a legitimate third-party do the work can be a good line of defense in the event you are accused of discrimination. When you have received the information about a prospective tenant, the next step is up to you. You can very easily accept the application of another person without explaining why you’ve done so. If a person looks to be a good prospect, you can also give him or her a chance to tell about any black marks on the record. You are the owner of the property, and you can decide what to do. Some problems with the tenant history may not be significant issues. Still, the ability to pay on a regular basis cannot be ignored. Property rentals are very stable investments in real estate. They can provide a steady flow of income and many retirees invest in houses apartment complexes. It must be remembered managing a rental property is not a hobby; it is a business. You need to show due diligence when it comes to allowing people to rent what you own. Checking the background history can determine whether or not the individual is destructive or refuses to pay on time. You have to stay within the arms of the fair housing and not discriminate against people based on minority status. 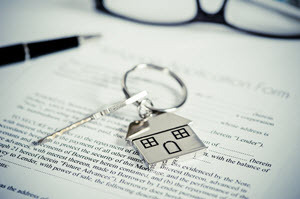 Conversely, you have a right to be discerning as to a prospective tenant’s ability to pay or honor the rental agreement.